All PARK CITY SURVEY homes currently listed for sale in Park City as of 04/19/2019 are shown below. You can change the search criteria at any time by pressing the 'Change Search' button below. "Immaculately maintained and so well-built this home feels like you're walking into new construction. Two formal entrances, an oversized 2-car garage and over 3700+ square feet of living space serviced by an elevator make this an incredible home for entertaining. Beautiful Park City views from nearly every room. Chef's kitchen featuring Viking appliances, granite counter tops, copper island and sink that opens up into a dining room. Aside from the separate dining room, the kitchen looks over the large great room which gives this home an excellent entertaining factor. This home features larger bedrooms as it was built on more than one typical old town lot at 5 bedrooms and an office there is plenty of space to spread out. Excellent opportunity to own in Old Town in a great location with only a 3-minute walk down Shorty's stairs to Main Street, restaurants and shopping. Enjoy every season in this warm and welcoming Old Town residence." "Remodeled and updated! All new ceramic tile floors, all new baths, finishes and fixtures. New Fujitsu AC split system which can also work as a heat pump in the Master and main living. 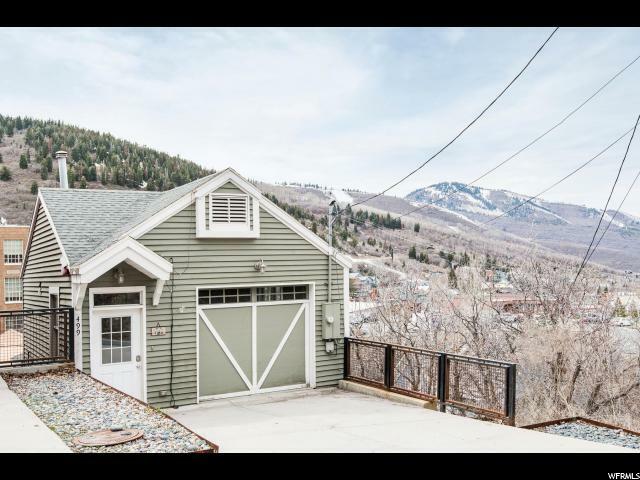 Storage loft above garage, all zoned hot water, radiant floor heating, and classic Mountain views. Walk out the side door for easy access to Marsac and Historic Main Street. "